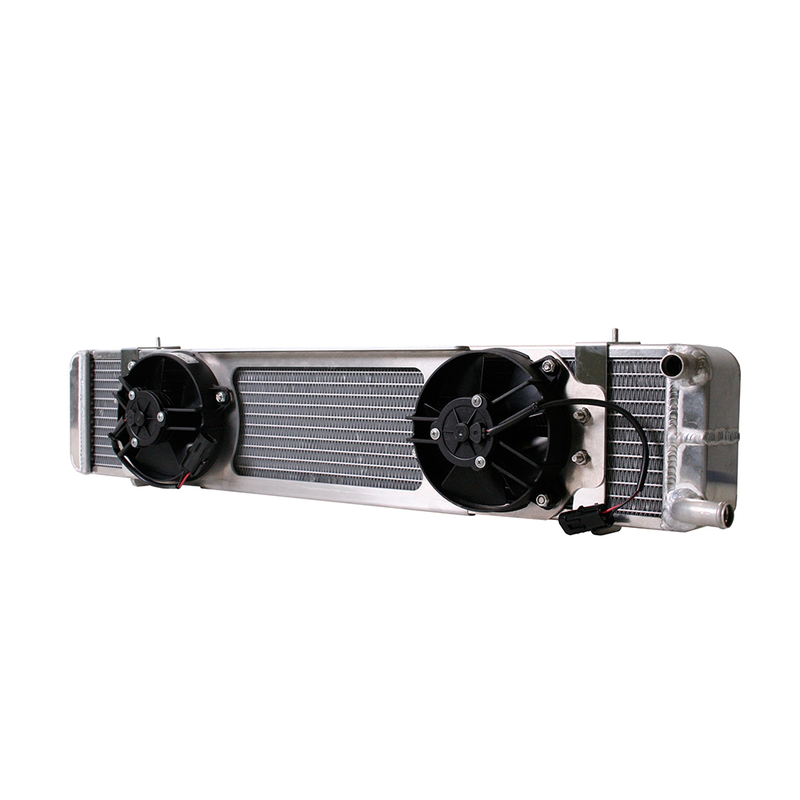 AFCO double pass heat exchanger with dual fans for '03-'04 Mustang Cobra. This unit is 31" W x 5 7/8" T and is 3" thick. It is an easy bolt-on installation and includes all necessary hardware and includes hoses and an installation manual. 2003 2004 Mustang Cobra Terminator 4.6L Supercharged Roush Saleen & Steeda Vehicles. No one else can stack up to the bold clean styling of our aftermarket Billet dress ups, Street Strip & Racing Suspension & Performance Parts for your late model American Muscle Car!